This is the fourth piece in a ten-part series looking at the fighters whose stories make Donald McRae’s Dark Trade the enduring classic that it is. 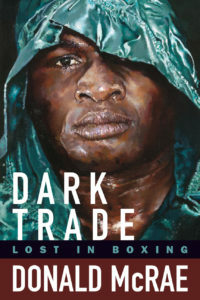 Learn more about the 1st U.S. edition of Dark Trade: Lost in Boxing. For Eubank, such half-sensical polysyllabic grandiloquence would make him an overwhelmingly unpopular figure on press row and among his peers. Benn seems quite seriously to have despised him—when the two were reunited ten years after their second fight for an episode of Gladiator on Channel 4, the “Dark Destroyer” notoriously showed up after three months of training with the absurd intention of evening the score. Even the mild-mannered Michael Watson would twitch and flicker with rage when talking about Eubank. “I’ve never seen another black man try so hard to look and sound white,” Watson rasped to Donald McRae in 1991. Never mind that Eubank, who had once spent eighteen months homeless as a teenager in Peckham, had come from a darker place than either Benn or Watson; never mind that Eubank, after struggling to answer questions at a press conference in 1988, admitted to Jonathan Rendall that he found it difficult just seeing white men. No—to other fighters, especially to other black fighters, the future Lord of the Manor of Brighton was as inauthentic as the title he would later acquire. But when Eubank called boxing “a mug’s game”—a remark that earned him the contempt of writers and fighters alike—he was speaking neither from a distance nor a great height. Two of Eubank’s brothers were journeymen fighters. And in a very real sense the sport had given him a purpose where previously he had none. In the winter of 1982, Eubank had left behind the street corners and ruined estates on which he had spent his childhood in Hackney and Peckham for a new life with his mother in the South Bronx. There he would find freezing winters and more ruin and the grim specter of gun violence. It was in these conditions that he would set about altering a life spent thus far mostly on the skids—a short life of booze and drugs and high-end shoplifting, from Oxford Street to Seven Sisters Road—the same way so many lost souls had tried already: through boxing. Now sweeping the floors and pounding the bag at the Jerome Boxing Club on the derelict streets of Westchester Avenue would supplant extracurricular illegality as Eubank’s habit of choice. A brief spell as an amateur culminated in victory at the Spanish Golden Gloves before he promptly turned pro, winning five decisions in Atlantic City casinos. When Eubank returned to the U.K. in 1988, homesick and broke, he joined a domestic middleweight scene that was rapidly heating to boiling point. Herol Graham was between different versions of the same tragic loss—after disaster against Sumbu Kalambay and before defeat to Mike McCallum. Meanwhile a young Nigel Benn was pitilessly cutting down novices and nobodies before a growing crowd of faithfuls, increasingly drunk with bloodlust at the sight of a fighter whose nickname and style suggested he was born under an evil star. It was Benn on whom Eubank set his sights immediately after returning to England (a short stint sparring with Graham convinced him that beating the “Bomber” would prove an impossible task). Having turned professional with Frank Warren, Benn was rich and wild long before real success. This made him dangerous and complacent in equal measure. Eubank, now carrying himself in such a way as to seem like the British psychodrama of class glibly personified, saw Benn as ripe for the taking. 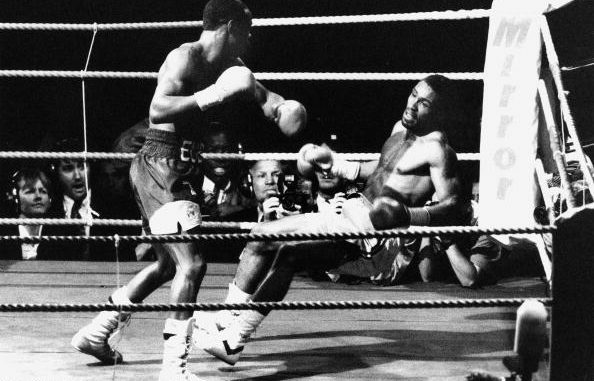 Anthony Logan would nearly get to him first, in October 1988, when he knocked Benn down and then hammered him with abandon before “The Dark Destroyer” staged an inconceivable recovery to knock him out cold. Yet it was a very different character who would pip Eubank to the job, when an exhausted Benn would fail to meet a ten-count midway through the sixth on an electric night in May 1989 against the soft-spoken Londoner Michael Watson—after being dropped to the canvas with embarrassment and a thud from a well-timed jab. 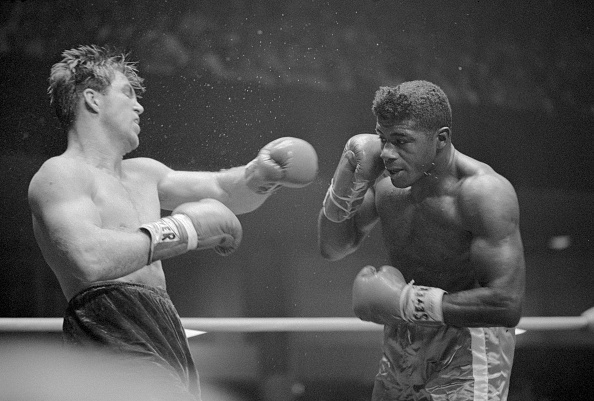 But an ecstatic Watson would be pipped to a world title by none other than Benn, who beat Doug DeWitt for the admittedly uncoveted prize of the WBO belt in the same month that Watson lost painfully to Mike McCallum. Rather than find himself next in a money-spinning rematch, Watson would soon be earning barely five figures on the Benn-Eubank undercard—the second-best middleweight in Britain reduced to a sideshow for a carnival between the third and fourth (Graham was preparing, alas, for Julian Jackson and his doom). When referee Richard Steele called the action to a halt in the ninth, after a sudden Eubank onslaught had left Benn stunned and staggered, Watson was confronted with the sight of a man he instinctively disliked being granted access to a fame that should have been his. As Eubank celebrated his stunning success, Watson was left brooding and sore. When they met eventually in June 1991, at the Earls Court Exhibition Hall in Kensington, Watson was left aghast—after Eubank clung on to his title courtesy of a gift from the judges. Having entered to the familiarly anachronistic strains of Tina Turner, Eubank set about once more certifying Buffon’s famous adage: le style est l’homme. 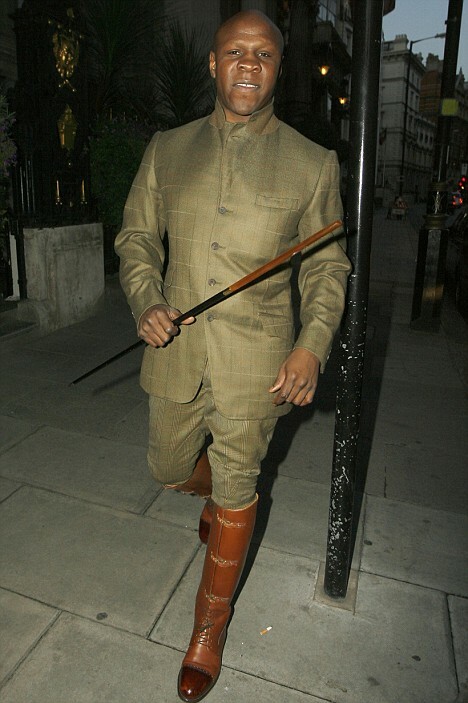 Fighting in a strangely mannered fashion, as a sort of stiff-backed counter-puncher, Eubank’s technique always provided an uncanny match for his haughty aristocratism. But Watson, who had languished at middleweight, was a rejuvenated man on this late summer night. Now at 168 pounds, and with the benefit of Tibbs’s coaching, Watson was looser, lighter on his feet, and picking his shots with care from a more relaxed set-up. While Eubank tried to spoil in the first, Watson peppered him with jabs and left hooks from the outside—dipping into and out of range with ease. Eubank began the second by charging after Watson, fists loaded with rage. But although Reg Gutteridge and Jim Watt murmured disapproval over the ITV commentary, Watson was ready for milling. Between the spurts in which Eubank threw, Watson would whip him to the body, then lash home overhand rights. In the third round, the Londoner started to time Eubank’s jab with the straight right, causing his opponent to dip and stagger with thirty seconds left. More good shots saw Eubank cut and vulnerable in the fourth. While Eubank retreated in straight lines, Watson would bob and weave into range on the diagonal, alternating between sharpshooting behind the jab and swarming him in close. Referee Roy Francis’s silver whipped about in a gusty wind whose slipstream “The Force” seemed to have entered. As Eubank stumbled and staggered through the eighth and ninth, Watson pressed harder, cracking the champion with any number of right hands between and around Eubank’s increasingly high guard. With the crowd roaring him to victory, Watson surged in the eleventh—riding a short Eubank burst by sneaking uppercuts to the body then grinding him down with hooks. Eubank, throwing in wild desperate bursts, soon found himself sagging once more, as Watson cracked him to the jaw and side of the head. With thirty seconds to go, Watson poured forth, throwing Eubank this way and that like a man tossed in a storm, before finally his opponent sagged and skidded and sunk to his knees in apparent resignation and defeat. Yet Eubank was not done. Years later, he would suggest instead that the knockdown somehow kicked his body back into life. “My nervous system shorted,” he told Ben Dirs in The Hate Game. “But when my knee hit the canvas, it was almost as though I was earthed. I was completely recovered.” As Watson walked to meet Eubank in the center of the ring, the champion would turn all his weight onto the right side of his body then pivot into the most devastating punch of his career—a dramatic right uppercut that would torque through Watson’s guard and crumple him to the ground. Watson would rise to his feet and be dragged back to the corner, where Tibbs desperately tried to reanimate his woozy fighter. But Watson was already doomed. There was no coming back. As Eubank flurried madly at the start of the twelfth, victory all of a sudden his, Francis would finally step in. The rest, of course, is history. Watson would promptly collapse in the corner, already suffering the near-fatal effects of a bleed on the brain. Without paramedics or an ambulance on site, Watson would slip rapidly into a coma. It would take another hour to get him to a neurosurgeon, half of which time Watson had spent without oxygen. The most stunning conclusion in Eubank’s career was already a footnote to the real story at hand. He would never be the same fighter again. There was a world of difference between the street corners and ruined estates on which he had slummed as a boy, from Hackney and Peckham to the South Bronx in New York, and the gated Tudor-style residence in Hove in which he lived now. But in that moment, Chris Eubank had left nothing behind after all.